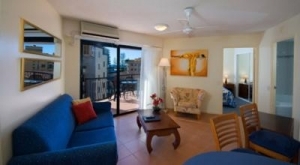 Nautilus Resort is a four star resort located in the heart of Mooloolaba and just steps away from Mooloolaba's safe patrolled surf beach and adjacent to the marina and Underwater World Complex. 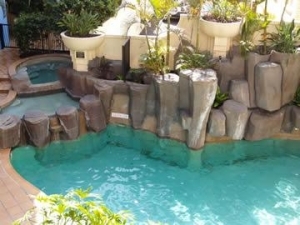 Resort features include: Lagoon pool with cave and waterfall, spa, pool-side terrace and barbecue area. - Gymnasium and 9 hole mini putt golf course. Thai Restaurant located in the foyer. - Under cover security parking and lift access to all levels. - Tour bookings. - Specially designed apartments for guests with disabilitiesNautilus Resort, on the beach located at Mooloolaba, on Queensland’s beautiful Sunshine Coast. 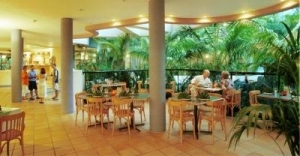 Our resort offers its guests all the luxuries associated with a four star resort. 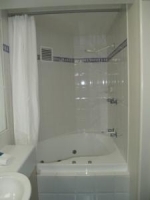 Enjoy the comforts of either a 1 or 2 bedroom, fully self contained apartment, complete with private spa bath, air conditioning,complimentary cable television, kitchen facilities, washing machine and dryer.